A film portraying the daily struggles in the lives of black women in South Africa. With observational portraits of five ordinary women, and with the insight of four women activists, the film depicts the battle of the black woman for human dignity in the face of apartheid: from the struggle for a roof over her head and food for her children, to black consciousness-raising and the total liberation of her people. Working covertly, the filmmakers were able to gain access for the first time to places like the huge segregated barracks built for so-called migrant workers, where women are condemned to spend their lives separated from their families. A woman on one of the barren "homelands" lives with her 13 children, forbidden to join her husband who has had to live alone in Johannesburg for 20 years. The film looks at the life of a domestic servant in a white household who has little time to visit her own children, and at the life of a nurse at one of the few family planning clinics for blacks in Soweto. There are also scenes from Crossroads, an illegal shanty town outside Cape Town where the defiance of women has created a spirited community. Interviewed in the film are also Winnie Mandela, the banned and banished women's leader who has become a symbol of resistance in South Africa; Fatimah Meer, an Indian sociologist who is forbidden to publish or be quoted; and Numisi Kjuzwayo, a young leader of the outlawed Black Consciousness Movement. The power of this film comes from the women themselves, in their spirit of defiance in the face of enormous obstacles. 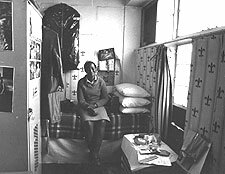 The breadth of their experience provides a unique perspective on the system of apartheid, and on life in South Africa today. An intimate look at black South Africans' cultural resistance to apartheid.